The Perth Mint has enhanced its range of bullion coins for investors with a significantly new type of offering. 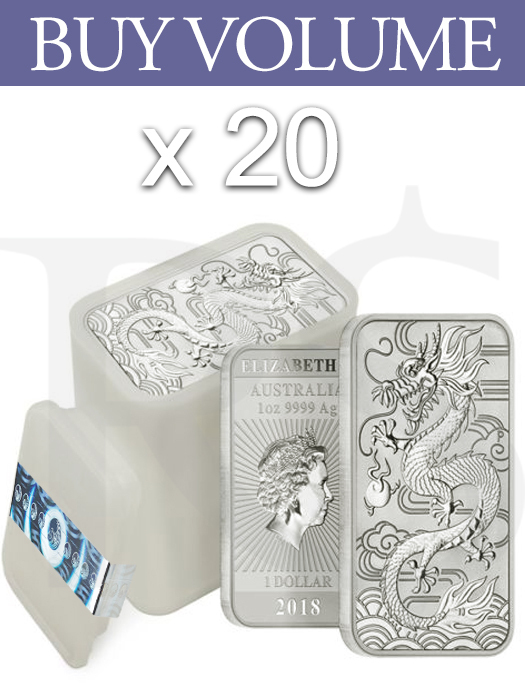 Struck in the shape of our popular minted bars, the new rectangle-shaped Dragon bullion coins are issued as Australian legal tender. 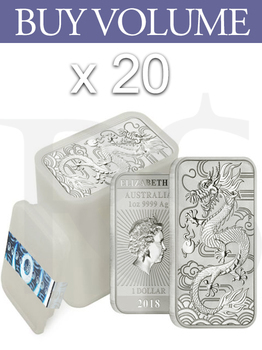 Made from 1oz of 99.99% pure silver, these releases tap into surging interest in Asian-style design themes exemplified by the Mint’s highly successful Australian Lunar coin program. 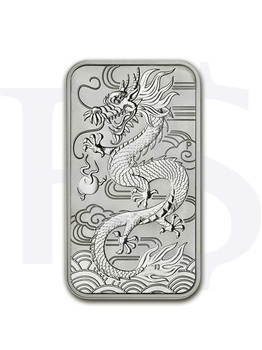 With elements carefully chosen to convey the significance of Chinese lore and legend, the coins’ design visualize an Oriental dragon, a mythical creature revered for its benevolence. Its serpentine figure is chasing a flaming pearl, believed to have the mystical power to grant people their wishes. Single bars come in an individual capsule, 20 bars come in tubes, and 200 bars come in 10 tubes boxed in durable packaging. Obverse: Bears the Ian Rank-Broadley likeness of Her Majesty Queen Elizabeth II, the face value, year-date, weight and fineness. Reverse: Features a stylized Chinese dragon chasing a flaming pearl, with wind, clouds and water in the background. The design also includes The Perth Mint's "P" mintmark.